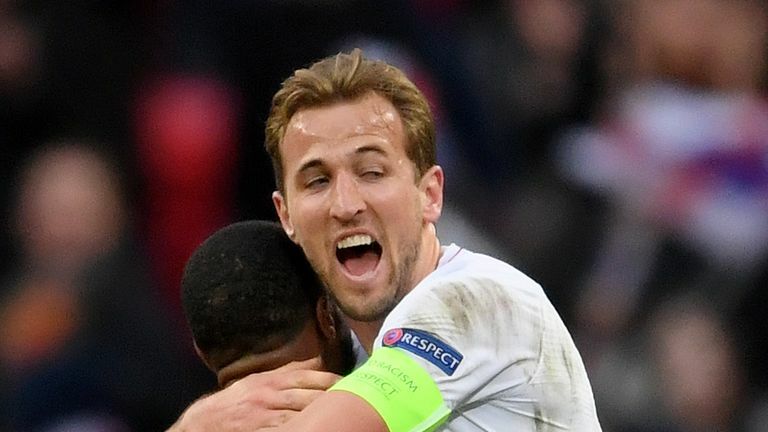 Harry Kane has called Raheem Sterling "incredible" after his hat-trick performance in England's 5-0 win over the Czech Republic. 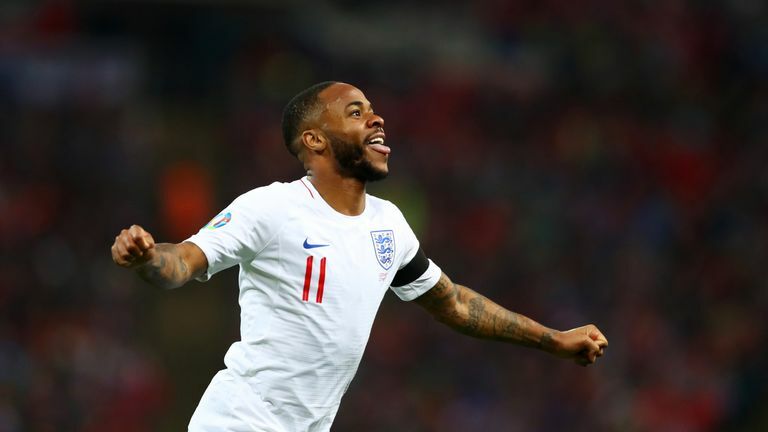 Sterling has been in fine goal-scoring form this season for Manchester City - with 19 goals in 40 appearances - and kicked off England's Euro 2020 campaign with his first international treble. Not only did he find the net three times, but he also won a penalty late in the first half, which Kane powerfully converted to double England's lead. "He is incredible," Kane told Sky Sports. "He is a great a player and so humble as well. He just wants to work hard and get better. "You have seen him full of confidence out there today. Great first goal - getting in the six-yard box. That’s where most of the goals are scored so he has learned that over the past two-three years now playing for club and country. "It’s great to have him in this form, it’s great to play with him and hopefully he can do it again on Monday." After the emphatic win at Wembley, Kane expects an entirely different atmosphere when England travel to face Montenegro on Monday night. It will be a new experience for plenty of the young players in the squad, but Kane said the influx of talent will help to take the pressure off him as captain and primary goalscorer. Raheem Sterling was England's hat-trick hero but it was also another night of progress for the irrepressible Jadon Sancho. Kane said: "In a team, to be successful, you need your front three - all of you scoring or assisting and midfielders nicking goals as well and that’s the way it’s going to be. "We have got players who are good enough to do that. Players who want to express themselves." Kane said Jadon Sancho and Callum Hudson-Odoi "just want to get on the ball", praised Declan Rice's performances in training, and knows their contributions will be crucial to future success for the squad. Hudson-Odoi on debut: It didn't seem real! "It is great for the country - to have these players coming through and playing."